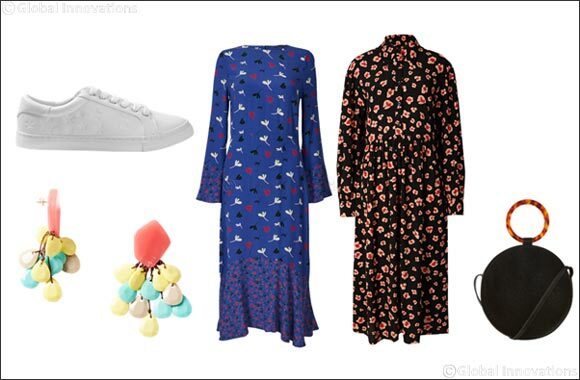 Dubai, UAE, March 25, 2019: Let your style blossom with these statement floral dresses from Marks & Spencer. The midi dress is the perfect piece to help you transition into the season ahead. Team with white trainers for a casual daytime look, or pair with statement heels for special occasion.